The Guardian has reported that the British government should learn from Finland’s policy of providing homes to homeless people. While homelessness in Finland has fallen by 35% since 2010, in the UK it has increased by more than 100% over a similar time period. This has encouraged The Guardian to get behind the idea of Britain adopting Finland’s simple solution to the problem. In the business world, Finnish startups raised a record €349 million in investments over the course of 2017. Despite this success being attributed to Finland’s “world-class gaming industry”, Pocket Gamer.biz has reported that Finnish mobile gaming is actually stagnating. Elsewhere, the gas pipeline that is set to run between Russia and Germany is given Finnish approval, and Finnish football teams have been banned from postponing matches in the event of bad weather. “ Homelessness is not a choice made by the individual, it is a reality forced by government policy. As homelessness has rocketed in the UK – up 134% since 2010 – it has fallen by 35% in Finland over a similar period of time. 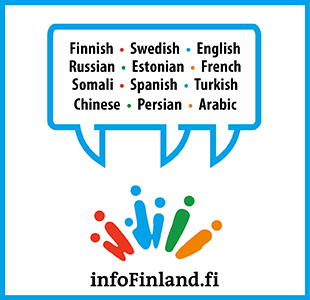 The Finnish government is now aiming to abolish it altogether in the coming years. I recently travelled to Finland to understand how it had done this. It turns out its solution is painfully simple and blindingly obvious: give homes to homeless people. Original article was published by on 12/04/2018 and can be found here. “ Finland’s startup scene keeps powering on. In 2017, Finnish startups and growth companies raised a record €349 million euros in venture capital, up from last year’s €318 million. There was a particularly high share of bigger rounds, with 8 companies landing more than €10 million in funding. Reidar Wasenius, who heads FiBAN, a body representing Finnish business angels, says the success is owed to Finland's "world-class gaming industry", its deep-tech capabilities and initiatives such as tech event Slush or startup hub Maria01. FiBAN partnered up with the Finnish Venture Capital Association (FVCA) for the 2017 funding report. “The Finnish startup ecosystem can be seen as one of the most active in the Nordics and Europe, and the positive development should only continue in the upcoming years,” Wasenius notes in a joint press release. Original article was published by on 05/04/2018 and can be found here. “ There is no country as tightly bound to the mobile games industry as Finland, where the success of local champions has become a totemic part of national identity. Yet all that finesse and ingenuity now looks like the formal gardens of Versailles - a symbol of terminal decay as much as sophistication. The very success of multi-billion leviathans like Clash of Clans and Candy Crush ossified the Nordic games industry, leaving it as self-indulgent and risk-averse. Sweden’s slide into obscurity was obvious years ago as Minecraft failed to respond to the Roblox challenge and King got trapped inside its sterile Candy Crush kingdom. Finland seemed to remain more relevant - Supercell was still able to deliver a new blockbuster with interesting mechanics in 2016 when Clash Royale debuted. Original article was published by on 16/04/2018 and can be found here. “ Finland has approved the construction of the Nord Stream 2 gas pipeline through Finland’s economic zone, the Finnish government and Russian gas exporter Gazprom said on Thursday. “ In what appears ostensibly to be a rather bizarre move, the football authorities in Finland have banned all clubs from postponing matches due to bad weather. The decision has been made to prevent troublesome fixture pile-ups at the end of the season in what is already a tight schedule, and to cajole clubs into investing in modern all-weather artificial pitches. According to Matti Apunen, the chairman of the Veikkausliiga (the Finnish top flight), teams who are unable to fulfil their published fixtures will either need to find another suitable venue or "lose their home advantage."